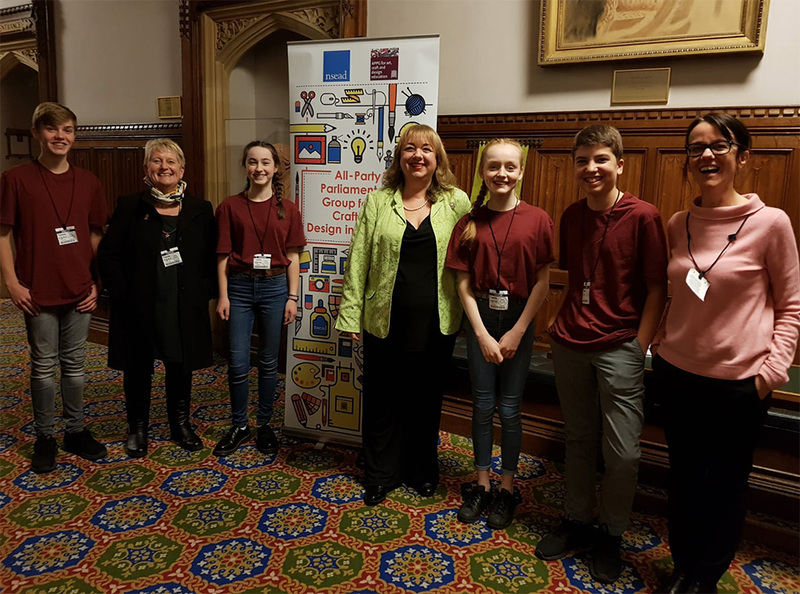 The teenage #BeACreativeProducer team were invited to present their project at the APPG for Art, Craft and Design Education at the Houses of Parliament, London, on November 13th. A full transcript of their presentation, including video clips of their animation, are provided below. 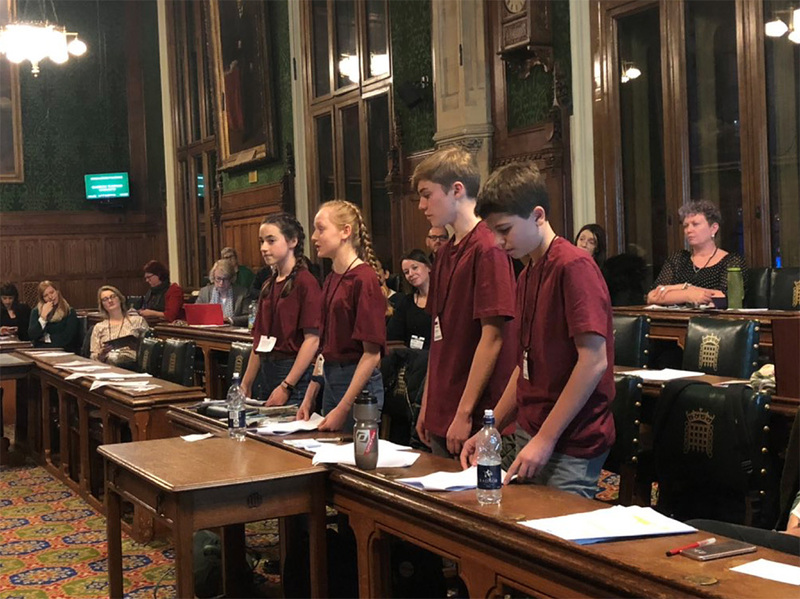 The team did incredibly well, holding the room with confidence, eloquence and creativity in abundance as they shared their experiences of the project, and spoke in support of arts education. 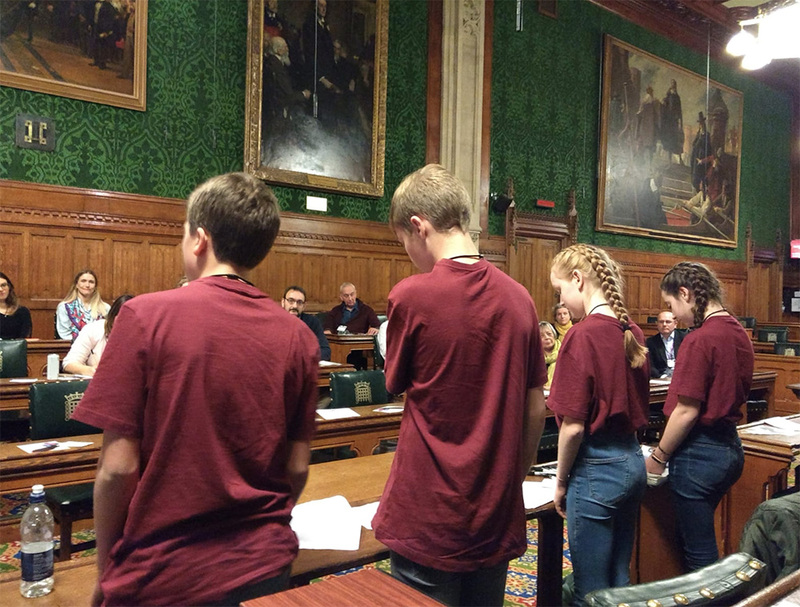 They also answered a number of questions, holding the floor for 40 minutes. Well done team! “Hello, My Name is Paula from AccessArt, and I’m here with Sheila, my colleague, and the teenage #BeACreativeProducer team. I’m not going to talk for long before I pass you over to the team. 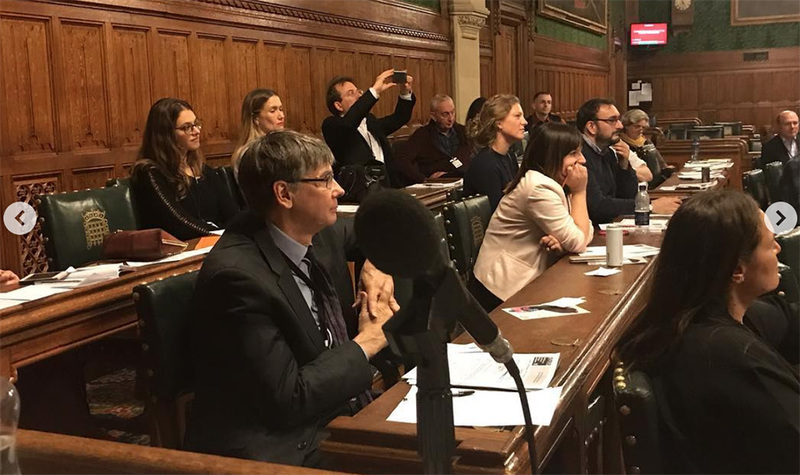 First of all a big thank you to the APPG for inviting us, we really appreciate the opportunity and we hope you enjoy our presentation. I want to talk briefly about Creativity, and to look at the ways our project is enabling creativity in teenagers. I don’t think a week goes by when Sheila and I don’t have a conversation about the nature of creativity, and the fragility of the creative process. The teenage years in particular, can be a time when a young person’s creativity feel’s especially vulnerable. I want this to be an upbeat presentation, as I’m sure it will be, and these teenagers definitely deserve that, but I do want to touch on 2 things that can undermine teenager’s creativity. The first is the message we are giving to teenagers today, that there is a subject hierarchy, and that creativity is way down at the bottom. Let us all acknowledge, that by pushing creative subjects down in that subject hierarchy, we are in effect telling teenagers that their creativity does not matter. Not all teenagers, not all schools, many schools are managing to preserve their creative offering, but in general, this is the message teenagers are hearing. The second thing which can undermine teenager’s creativity is social media, or to put it into a wider context, the ability of the phone to keep the teenagers’ attention. Before I go any further I want to clarify, Sheila and I are great advocates of digital – we know that through embracing all things digital we have been able to impact upon visual arts education. BUT, we all acknowledge that social media has two sides: educational, inspiring, connecting, but it can also be distracting, and prevent a connection with the physical world. Even teenagers themselves acknowledge that whilst it can inspire them, it can also drain them. The problem is that social media can prevent teenagers from paying attention to their creativity. It is the thing they go to when they are bored, when they have finished something, or even when they haven’t finished something, as a distraction. So whilst on the face of it the #BeACreativeProducer project is an animation project, a project in which a group of creative teenagers come together to share their skills, to create animations which celebrate and advocate teenage creativity, the project is also about how we can address the things which put pressure on a teenagers creative potential. Number One, we need to look teenagers in the eye and tell them we value their creativity. We need to SHOW them we value their creativity. We need to enable teenagers to look each other in the eye and support each other’s creativity, and we need to make certain that teenagers can therefore look themselves in the eye, maybe next time they take a selfie or look in the mirror, and tell themselves that their creativity is an important part of who they are. Number Two, we need to help teenagers pay attention to their creativity. Creativity is a fragile beast, but it is also resilient. We can push it down personally (we have an idea which we dismiss), we can push it down socially (we can neglect to invest time and money) and ultimately we will push it down economically (if we have not invested in the creativity of a generation, how can we expect to reap economic rewards), BUT the creative urge will always be there, lying waiting, it is an intrinsic part of our humanity. The good news is, if we can pay attention to even the smallest of creative urges or sparks, they will grow. We only need to tune in, and we will feed our creativity. It is the tuning in, or the showing up, that’s vital. So, whilst art lessons are filled with techniques and art history and contextual studies, I would also suggest we need to think more about how we can enable teenagers to understand what it is like being IN the creative process, with its ugliness and beauty, inspiration and frustration, moments of desperation and moments of eureka. It isn’t about the end result, though that is often great, it is about the create journey, and whilst we all go on our own journey, there are commonalities which we should be talking about more, so that we can reassure and demonstrate to teenagers that what they feel whilst they are being creative, is ok, and so enable them to continue on their journey. The Project started in June. We noticed amongst our classmates that some people were pursuing their interests and hobbies, whilst others were dropping them as they weren’t seen as cool. Instead they were spending more time on their phone. The project started as a message to help teenager become aware of how much time they are spending consuming digital, and to remind them that they can be producers, as well as consumers. 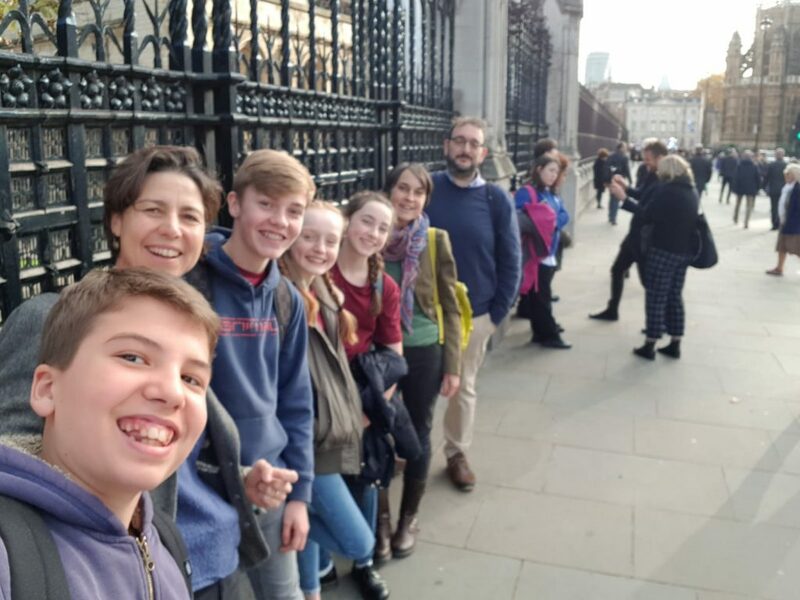 But the project quickly developed into much more than that, and the animations we are making now are about helping teenagers think about how important their creativity is, both to them and to the world, and how they can become more creative. We’re definitely NOT saying that digital is a bad thing – the project wouldn’t exist without digital, but we are trying to remind teenagers to consume it mindfully, and to balance it with the physical world. We have been meeting most weeks since June, after school and at the weekend. We must have put in hundreds of hours of work. The project will finish in February 2019. So what are our sessions like? Varied, is probably the best way of describing them! 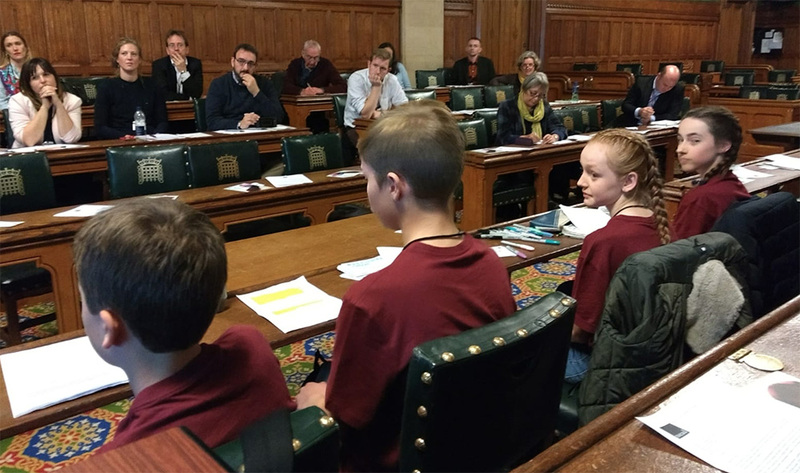 We usually start off around the table (eating pancakes) whilst Paula brings is up to date on things that have happened during the week (like being invited to the houses of parliament). We look back at clips made the week before, think what we might need to do to change them. Then we usually split up into pairs to work on new animations. So, two of us might be animating letters on a whiteboard, whilst another two might be editing photos in photoshop or in iMovie. Or we might be making physical models for an animation, and filming each other or recording voice overs. Every now and then we get together to compose music collaboratively, or compose it individually at home. All the clips are then sent back to Paula’s laptop for us then to edit together to make the scenes… Like Scene 2 which we would like to share with you now. We’re so proud of what we’ve achieved so far. As well as being invited here, to share the project with you, we have also led a workshop at the Arts Picture House Cambridge, and have been invited to write a blog post for their website, and screen part of the animation before a main feature in 2019. Cambridge Junction will host a launch party for the finished animation in 2019. If you’d like to come to the launch then pls let us know. Every session we do is documented and Paula then creates a post on the AccessArt website so that others can be inspired and have a go. We have also run a successful crowdfunder appeal to pay for workshops for schools on the launch day, AND for prizes for an animation competition we have launched. “The World Needs Your Creativity! Animation competition is for ages 11 to 15. We had the idea, to get other teenagers involved, by inviting them to create a 30 second animation. The winning entry will receive £100 worth of vouchers and also have their animation included in our main animation on the opening night. You can find out more about the competition on the AccessArt website. The final animation will be around 20 minutes long, split into 5 scenes which can be watched alone, like scene 2 you just watched. We will also have an animated quiz section to help teenagers think about their attitude to consuming and creating digital content. The end result will be shared via social media and the AccessArt and #BeACreativeProducer websites, and we hope that schools, arts organisations and community groups across the country will share it with teenagers to help inspire their creativity. So, What Have we Learnt from the Project? The Project has helped us build a variety of skills…. It’s helped me build confidence in public speaking and helped me grow as a person. 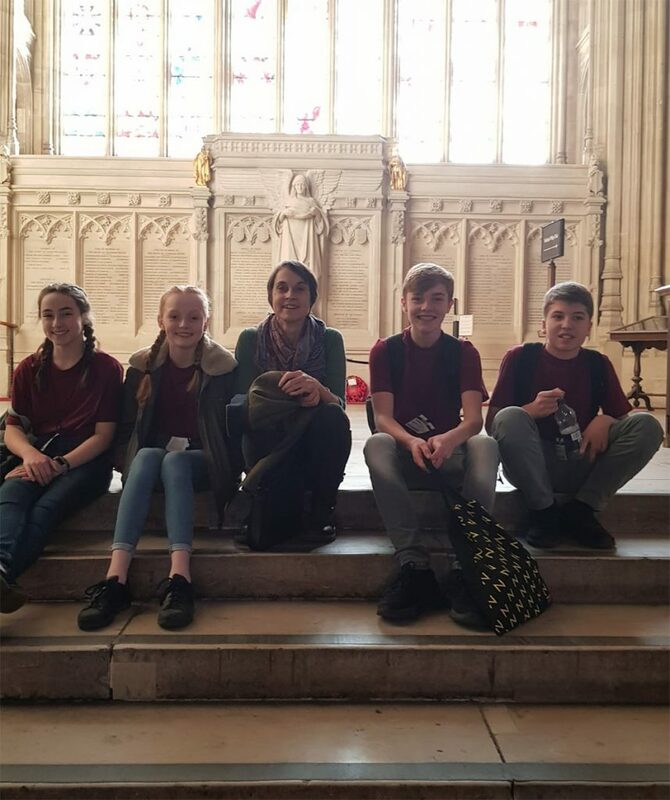 We are able to work as a team and empower each other in a relaxed and positive environment, which is an opportunity we don’t often get at school. The project has given great encouragement to everyone’s creativity. For me in particular, it has helped feed my skill and interest in composing music, both for the project and for my own pleasure. I think my attitude to my own creativity has developed hugely throughout the project. I think that one of the most important things to me about the project is the way we are all able to contribute our ideas into what we do next, in a way we can’t at school. Every session we are given the opportunity to input our own thoughts and opinions, and then have the freedom to put our ideas into action. Working on the project has given me a reason and a focus for my woodworking. I’ve enjoyed sharing what I’ve made and seeing them valued in the project. We would also like to see if we can develop the #BeACreativeProducer website (if we have the energy!) into a place which encourages teenagers to make and share their own animations, either alone or as a team, about things which they care about. So how can you help? Pls share the project and the competition, and we hope we have inspired you to look teenagers in the eye whenever you can and tell them that the world needs (and values) their creativity!!! If anyone has any questions, we would love to answer them. 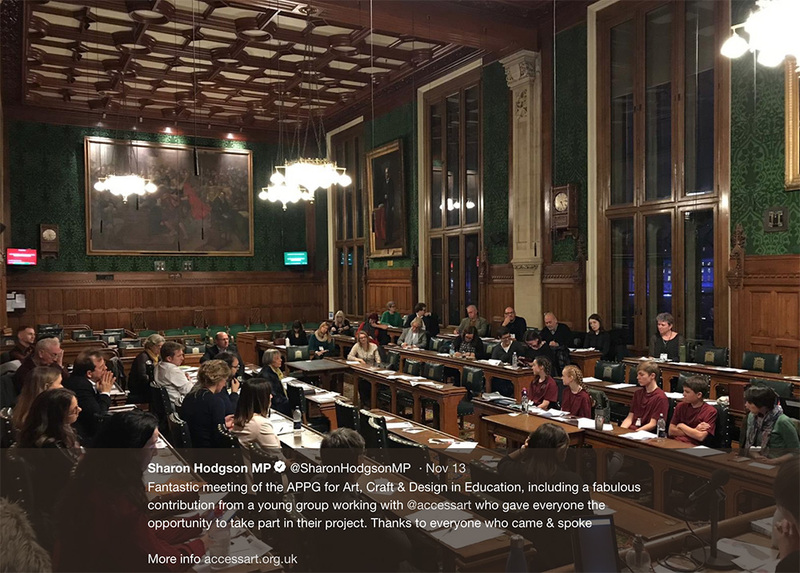 Very many thanks to the Board of the APPG for Art, Design and Craft Education for inviting the team to present. What has been the follow up to this meeting? 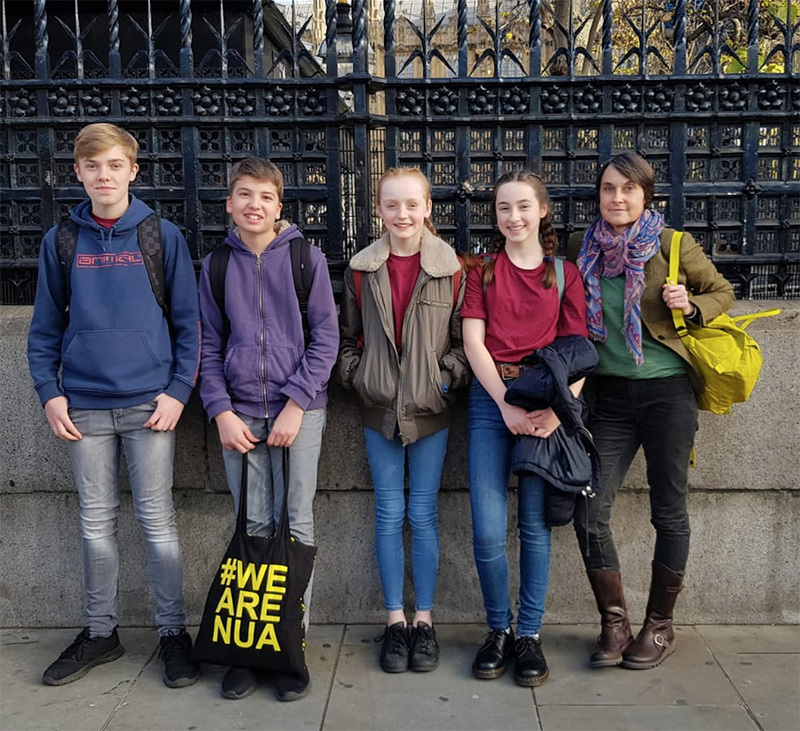 Hello Philip, for the #BeACreativeProducer team, they will be writing an article about the importance of teenage creativity and how they feel they can help enable it in others, in the NSEAD magazine. The team will be launching their final animation in February 2019 – many weeks work yet to be done! Well done you guys .standing up for creativity is so important otherwise it will be pushed out of education.